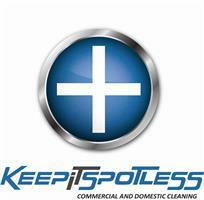 Keep It Spotless Limited - Cleaning Services based in Wokingham, Berkshire. Our diverse client list, including, homes, offices, golf clubs, stately homes, hotels and race courses, is testament to our versatility and our commitment to quality. We have been proud to be involved in the redevelopment of both Wemberley Stadium and Ascot racecourse. We are equally proud to have retained many of our domestic customers for long enough to see their children grow up and move into homes of their own. We use a water fed pole system which allows us to clean gutters, windows and fascias up to 5 storeys from the ground, eliminating the health and safety issues associated with working at height. For jobs that exceed the reach of the pole system, our friendly, professional team are IPAF trained and certified to use powered access equipment. We are even able to bring in rope access (abseiling) specialists should the job demand it. We are FWC and Checkatrade members, holding comprehensive Public liability insurance. We are able to provide risk assessment and working method statements as required.